Here’s a fantastic new illustration by MICHAEL BYERS for Toronto Life called “Puckheads: inside the crazed arenas of the GTHL.” It was a really fun piece about how crazy hockey parents can get. 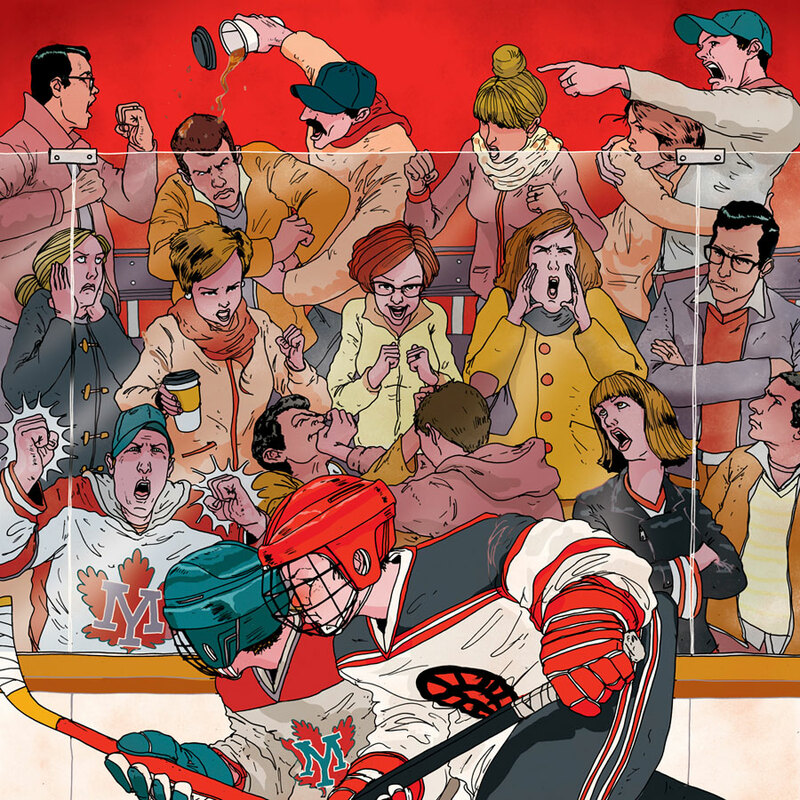 “The world’s largest amateur hockey organization is also a breeding ground for unscrupulous coaches, raging parents and miserable preteens.” Mike got to witness some videos on Youtube and witnessed how they can get out of control. Always a pleasure working with the good folks at Toronto Life. It can be a nice challenge and fun trying to draw a crowd of people fighting. I think Mike did an awesome job with this one. Can anyone relate?